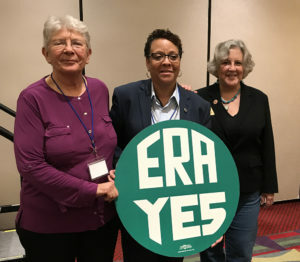 The Illinois House voted Wednesday night to ratify the Equal Rights Amendment more than 45 years after it was approved by Congress, putting it one state away from possible enshrinement in the U.S. Constitution amid potential legal questions. The 72-45 vote by the House, following an April vote by the Senate, was just one more vote than needed for ratification. It does not need the approval of Republican Gov. Bruce Rauner, who has said he supports equal rights but was faulted by Democrats for not taking a position on the ERA. Helping to propel momentum for the measure was a resurgence in activism for women’s rights amid national demands to root out sexual discrimination and harassment in American culture in response to the #MeToo movement. State Rep. Litesa Wallace, an African-American Democrat from Rockford who is leaving the House after losing a bid for lieutenant governor, recounted her family’s history of oppression in likening her support for the ERA to the battle for civil rights. Illinois’ 1970 constitution outlaws gender discrimination. 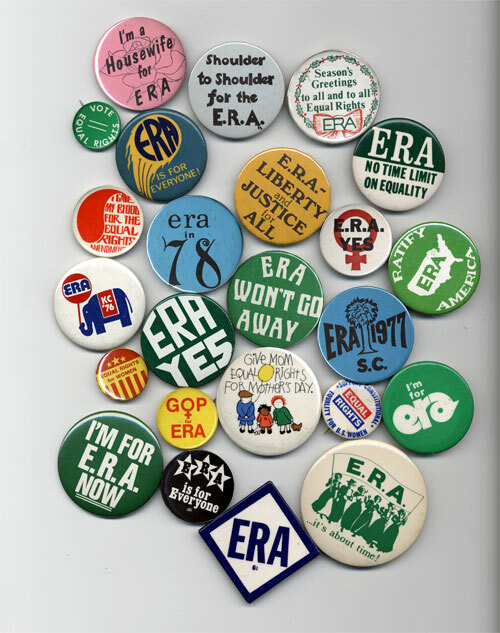 Nevada became the last state to ratify the ERA before Illinois last year. First enacted in 1972 by Congress, the ERA legislation required that the measure be ratified by three-fourths of the states (38) within seven years. That deadline was later extended 10 years to 1982. There was federal court litigation over the deadline extension at the time. But the U.S. Constitution contains no time limit for ratification of constitutional amendments. In fact, subsequent to the ERA the 27th Amendment to the Constitution prohibiting immediate congressional pay raises was ratified 203 years after its introduction. This called into question the soundness of earlier federal court decisions on the ERA deadline. It is still a contested legal issue. Congress can also vote to remove the deadline language, and a bill has been introduced to do so. I was part of a panel discussion with NOW activist Dianne Post (L) and Senator Pat Spearman, who led the ERA efforts in Nevada. Blog for Arizona’s state Rep. Pamela Powers Hannley is among the Democratic women leading the fight to put the ERA over the top in Arizona. Their efforts have been thwarted by the male GOP leadership of the Arizona legislature. Arizona House recesses rather than debate the Equal Rights Amendment. If you review the list of candidates running for the Arizona legislature that I posted yesterday, you will observe that there are an extraordinary number of women in both political parties running for office this November. There is no good reason why there should not be bipartisan support among these women candidates, as there was in Illinois, to put the Equal Rights Amendment over the top in the Arizona legislature in the next legislative session. This should be among your litmus test questions for all candidates this November. There is no reason why a companion ERA Amendment could not be added to the Arizona Constitution as well, which would afford women the same constitutional protections. The legislature can refer the amendment to the voters, or a citizens initiative can put the measure on the ballot. I would encourage our Democratic Caucus in the state legislature to pursue this state constitutional amendment. It is long past time to finish the long civil rights struggle to grant women equal rights under the Constitution. Come January 2019, the time has arrived for Arizona to enter the 21st Century and to enshrine equal rights for women in the Constitution. You can make it happen with your vote this November. Choose wisely. ERA, YES! For Arizona. Time to evolve into the 21st century.